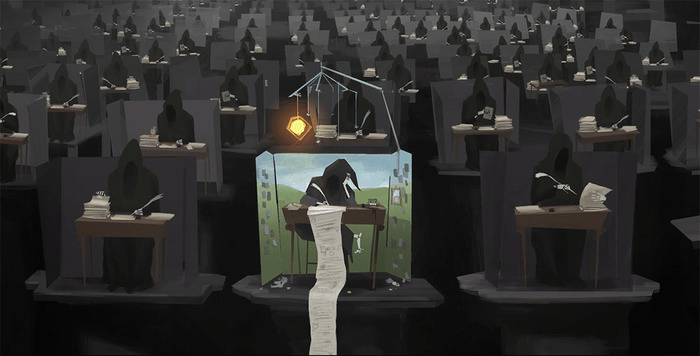 There’s an old saying that goes something like this: “There are two constants in the world: death and taxes.” Unfortunately, I don’t have anything tax-related (that would be left to one of our owners), but I do have a pair of games dealing with death. For your consideration, the Crowdfunding Spotlight shines on Death Inc. and Asylum. 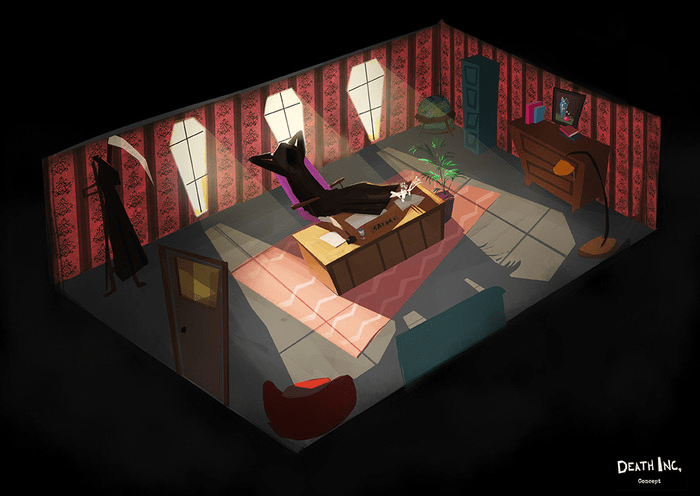 You begin as Grim T. Livingstone, a freelance Reaper who works as an Assistant Underreaper at the Ministry of Mortality. Tired of having a soulless job (get it? ), he creates Death Inc., a mortality-outsourcing agency. But all isn’t well, as the King of England teams up with the secret society known as the Black Hearts as they try to discover the secret of immortality. So, as you work to make your business grow, you must thwart the King before he can destroy the Nether and Life itself. Quite the interesting mix of business simulation, real-time strategy, and god game. 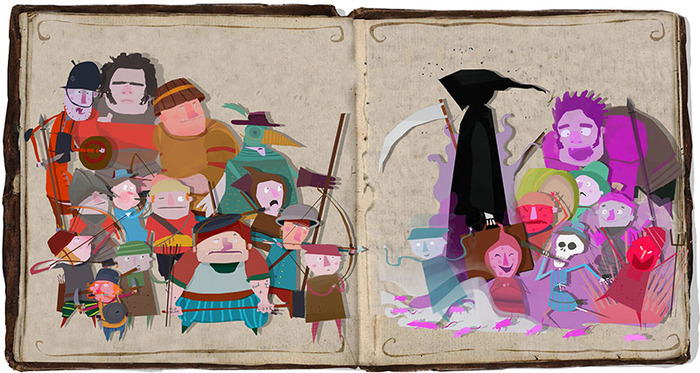 And it has struck a chord with many people in the industry, from media outlets—such as IGN, PC Gamer, and Rock Paper Shotgun—to game makers—such as Peter Molyneux (creator of Dungeon Keeper and Theme Park, among other things), Alex Evans (co-founder and technical director of Media Molecule), and Sean Murray (composer for games in the True Crime and Call of Duty franchises). So far, the game is in the early stages of development. But it does have working levels and even a demo for you to try out. Currently, they are sitting at just above £80,000 out of the £300,000 they are looking for. Unfortunately, they have less than a week left before their campaign ends. Rewards for helping to fund the game range from £10/about $16 USD (digital download) to £5,000/about $8,000 (being the evil monarch in the game). Other non-limited rewards include being a villager in-game and access to beta testing (starting at £25/$40), access to alpha testing (£40/$62), digital copies of the soundtrack, art book, and comic (£45/$70), a boxed copy with custom Death Inc. playing cards (£50/$72), free access to expansions (starting at £65/$105), and designing your own tavern (£500/$800). Other rewards include being a Death Inc. employee (£1,000/$1,600) and being a nobleman (£2,500/$4,000). The unfortunate likelihood is that this will not reach its goal. However, that shouldn’t stop you from showing your support for the project. Show Ambient Studios that a game like this is worth the time and effort to make. Check out more at their Kickstarter page by clicking here. 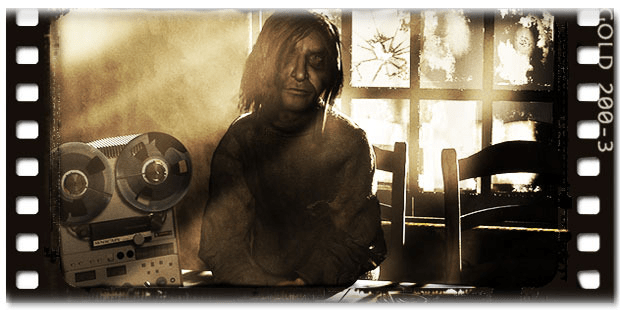 Coming all the way from Buenos Aires, Argentina, we have what looks to be a scary good time in Asylum, a psychological horror adventure game inspired by H.P. Lovecraft. 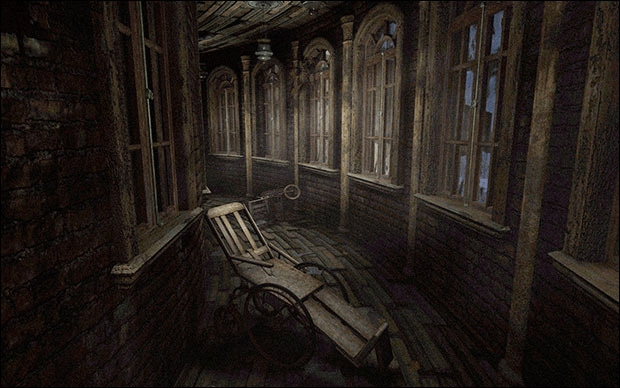 The game takes you through the Hanwell Mental Institute with a story that scares the crap out of the creators (and at least one of the Spotlight team members, but that’s neither here nor there). Let’s just say that if you’re looking for a good scare, you’ll probably find one here from the creators of the cult classic Scratches. After making its initial goal the past few days, I can safely say that Asylum will be coming to Windows, Mac OS X, and Linux. It will also be coming to Steam after being Greenlit by the community. And, having just reached its first stretch goal, it will be coming to iPads, as well. Developer Senscape is also looking to include Android and Ouya versions in the release schedule. Rewards start at $5 for getting a backer label on the Senscape forums. Useful rewards begin at $20 for a digital copy of the game. Other non-limited rewards include the digital record book and soundtrack ($30), a boxed version of Asylum ($75), access to the alpha and beta test ($100), and your name on the in-game register of visitors to the Hanwell Mental Institute ($150). Limited rewards include a signed boxed version of Asylum ($250), your name on a label in the in-game workshop ($375), your own art with your name in the game ($400), being a staff member with an in-game diploma with your name ($500), being a high-risk inmate ($2,500), and being featured as an in-game character in a cell ($5,000). Now, there is just over half a day left for funding the campaign, but you can still pledge by going to Senscape’s website and donating through PayPal. All non-limited reward tiers are available, so get to donating. Check out the Kickstarter page here. If you wish to donate after 11 AM EST on February 28th, you can donate here. Here’s more of what’s going on with other projects we’ve been following. What a crazy week it was for Chris Taylor and the remaining staff at Gas Powered Games. 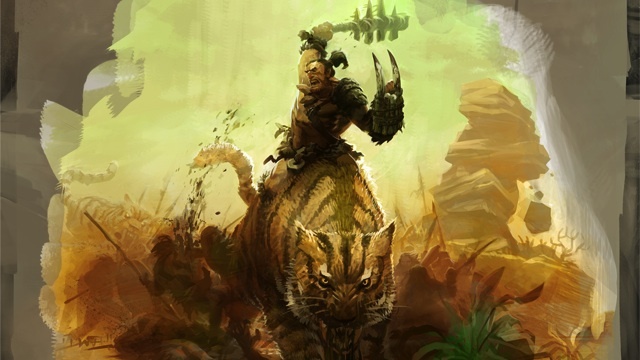 They go from cancelling the Kickstarter for Wildman to being bought by Wargaming.net, developer behind Massive Assault and, more recently, World of Tanks for the PC. Assuming that we’ll hear more about the fate of this project, we’ll keep an ear perked up for anything that comes around. It’s always cool to see something get funded. It’s even better when said project gets funded many times over, as is the case with Cryamore. The project ended with over $240,000 raised, over four times the initial goal. With that, all stretch goals were reached, including an in-game arcade with mini-games from various developers and ports to all major consoles. But they’re not done yet. They have opened up donations through PayPal, allowing for continued support from their fans. (One thing to note: there will be a 2.9% fee to pledge through PayPal.) Stay tuned for more on this game. Kickstarter Project. Status: Goal Reached. 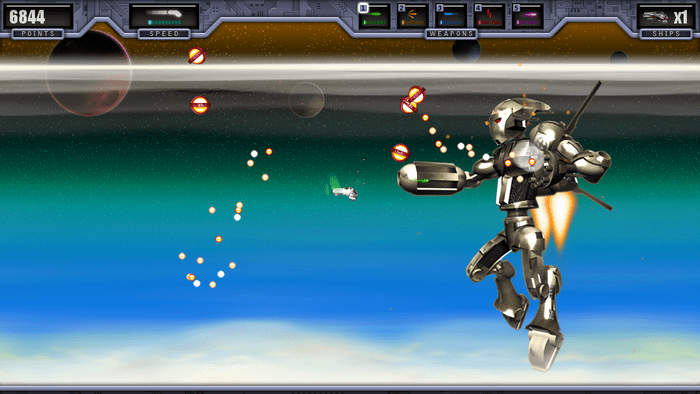 Less than a day to go, the modern retro SHMUP has reached its funding goal. No stretch goals were announced, but developer Mike Hanson will be looking into porting the game to other platforms, given that the project is almost £2,000 over his initial goal. Stay tuned for more. The monthly updates for Meriwether have begun with the first installment of “Meri-Making,” a look at the behind-the-scenes work on the game. You can check it out by clicking here. Also, if you’re planning on going to PAX East, be on the lookout for the Sortasoft team. They’ll have a demo of the Clatsop Fall Lewis level and will be answering questions about the game and the development process.